This year I have decided to give my birthday towards the education of disadvantaged children. Nothing is better than sharing your joy with the people that need it the most. In 2017, with your support, we managed to help 2 children stay in school, giving them a better chance to escape poverty. Please take a look at this page and consider using my birthday as a pretext to helping more. Your support can make a huge difference. 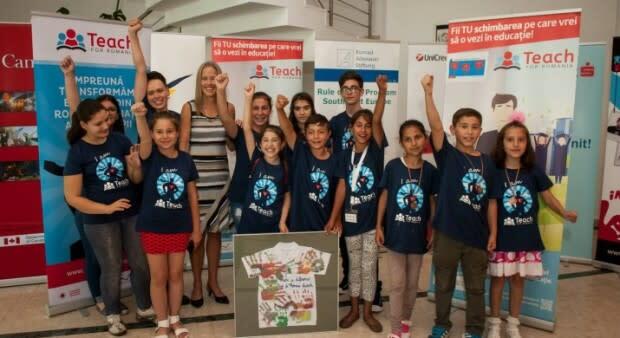 Teach for Romania is a Non-Governmental Organization with a mission to recruit and select the most valuable young Romanians, train them as inspirational teachers and support them to become leaders in Romanian education. Teach for Romania's vision is to create life options through quality education for every child in Romania. It aims to attract top graduates who would not have normally considered the teaching profession among their future professional options. The model works successfully in 45 countries across 6 continents, where it is implemented by the partner organizations of the Teach for All network. What are the main issues we are trying to solve? Student motivation: According to the most recent international education study performed by PISA (OECD), Romanian students are the least motivated to study of all students from a group of 65 countries analysed. Other recent international studies demonstrate that Romania’s education system ranks towards the bottom of both European and global rankings. School drop-out rates: Romania has a 17.4% average drop-out rate, compared to 12.8% which is the European Union average. This is more pronounced in the rural than the urban communities, however the figures are slowly increasing in both sub-categories. High school graduation rates: Among students who remain in school through the 12th grade, only 56% passed the national high school graduation exam ("Bacalaureat") in 2013, latest data available. The figures above, as well as others published in recent years, demonstrate that Romania suffers from an overall lack of quality education as well as an inequality of access. What are the funds for / where is your money going to? All the funds raised in this campaign will go towards sponsoring one teacher - which means supporting the education of over 150 children - for the academic year. Teach for Romania has had a tremendous success over the past few years since its inception in 2014 and continues to grow. This year’s aim is to focus on the organization’s sustainability, curriculum development and increase the overall quality of the programme. Helping underpriviledged children has always been an important part of my life. 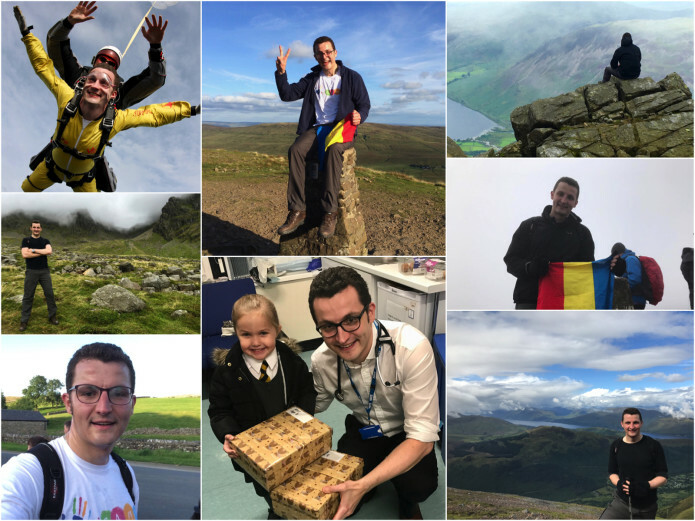 From organising Christmas charity appeals, to funding scholarships or climbing Kilimanjaro for charity, I have tried to give something back in the best way that I can. I came to the conclusion that the only way of making a lasting change and give those children a chance to succeed in life is by promoting access to quality education and making it available to those communities who need it the most. The education and qualifications children receive, as well as the environment they develop in, are crucial for the opportunities they would have later on. So rather than waiting on miracles to happen, let's teach those children how to fish. Happy birthday, doctor! You rock! Felicitari pentru initiativa. La multi ani! Happy birthday John ! Enjoy your birthday ! I hope you can make a change indeed ! Romania needs people like you !